April 6th Brackets Just below! If you are a captain, click below to sign up your team for the tournament. Your teammates will need to go through the individual player registration to ensure they receive their t-shirt and to sign the waiver. The Registration "My Tournament" is not currently available. Individual players who are apart of a team, need to fill out and submit their information by clicking the registration link below. 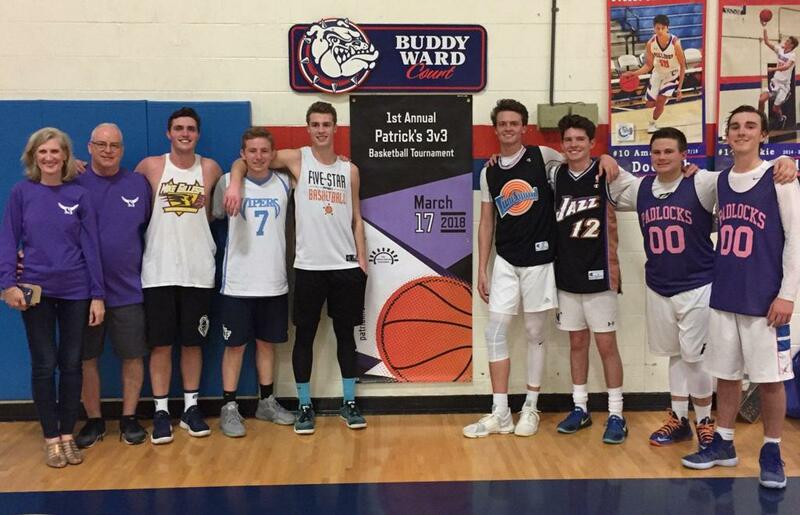 The upcoming 2nd Annual Patrick’s 3v3 Basketball Tournament is planned for April 6th and 7th, 2019. The inaugural event on March 17, 2018 hosted by The Bolles School was a huge success with nearly 60 boys and girls teams participating with 197 players. Many community and business organizations came together to promote awareness of teen mental health issues and reduce suicide rates in this age group. Suicide is a topic that is uncomfortable to many. Suicide affects not only teens, but military personnel and police forces, professional athletes and high-profile business professionals. According to a recent study published by the CDC, suicide rates increased in nearly every state between 1999 through 2016. On average, one person dies by suicide every three hours in the state of Florida, and suicide is the 3rd leading cause of death for ages 15-24. Suicide prevention begins with early detection, learning how to respond and where to find help. At the encouragement of many educators, coaches and family members affected by suicide, the Patrick Heinold Foundation will expand the scope of its work this year. Plans include establishing a speaker series with motivational messages targeted to teens; supporting educators who work with teens on the early warning signs of suicide and prevention measures; and promoting, among teens, an increased awareness of mental health and support services available. Tournament rules are posted below. General basketball rules apply: Traveling, double dribble etc. Interested in becoming a sponsor of The Patrick Heinold Foundation? Want to participate in your local community? Become a sponsor for The Patrick Heinold Foundation and support youth in your area.